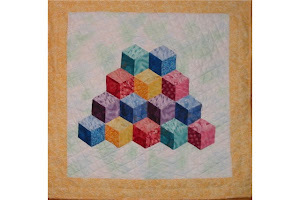 A music quilt and a construction trucks quilts. Life and illness have gotten in the way of quilting this winter, but now that Spring is almost here maybe things will settle down! You and your quilts always make me smile :) I hope you aer well now after a long hard winter. Flu? How's the views in your area *smooch* Miss you!